Can't remember the first Rock On!! magic? We take you down memory lane. 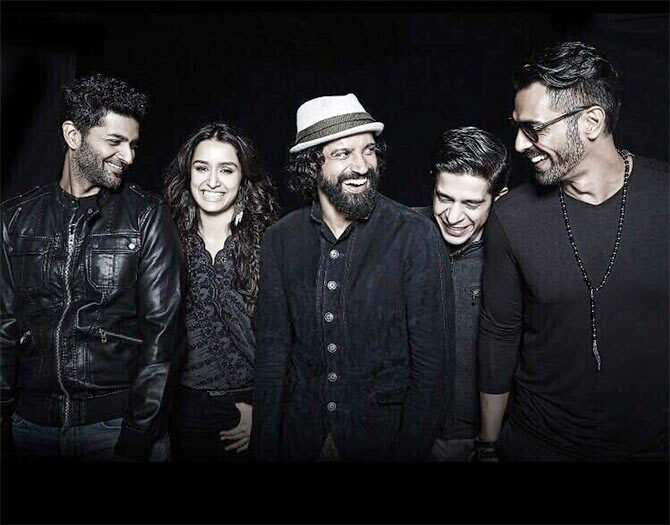 IMAGE: Purab Kohli, Shraddha Kapoor, Farhan Akhtar, Purab Kohli, Shashank Arora and Arjun Rampal in Rock On II. Bollywood loves music but tends to shy from making movies about it. So when Abhishek Kapoor's Rock On!! released in 2008, the novelty of an Indian rock band unravelling on the silver screen was a welcome change for audiences and critics. Eight years later, the exclamations in the title have made way for Roman numerals to declare its sequel status. Add to it a new director (Shujaat Saudagar) and cast members (Shraddha Kapoor, Shashank Arora) alongside most of its original team and Rock On II is all set to hit the screens this Friday. Meanwhile here's everything you need to know about the first one if you don't already. IMAGE: Purab Kohli, Farhan Akhtar, Luke Kenny and Arjun Rampal in Rock On!! Four friends -- Aditya, Joe, Rob and KD -- form a fledgling rock band called Magik. Things appear to be on the upswing after they win a contest until an unpleasant episode between Aditya and Joe results in the group breaking up. Years later, disillusionment has seeped into their lives and all four have either moved on or compromised. It is only when Aditya's wife, oblivious to her workaholic husband's grungy musician past, meddles to bring Magik back into their lives that the quartet realise their folly and make up. But Joe's better half is still too bitter to start afresh or allow him the same luxury. Rob is diagnosed with a terminal disease. A last ditch effort to perform at a concert provides Rock On!! the pulsating finish it's hoping for. 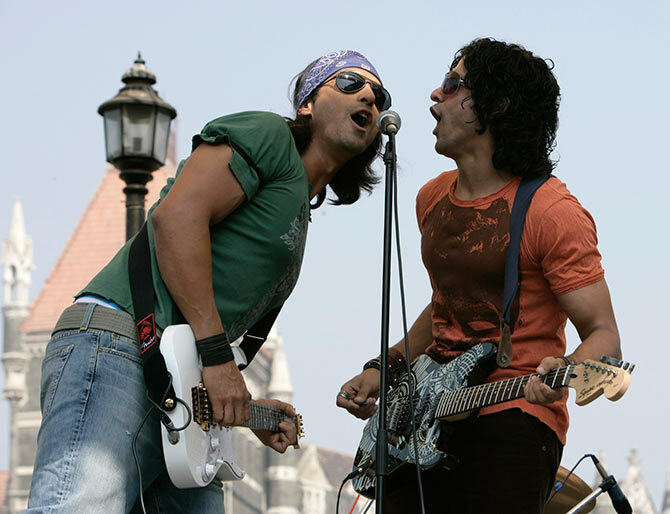 IMAGE: Arjun Rampal and Farhan Akhtar in Rock On!! Shankar Ehsaan Loy's effervescent tunes set to Javed Akhtar's exuberant if not profound penmanship give Rock On!! 's soundtrack its zingy, infectious vibe, be it the title track, Sinbad the sailor or Pichle saat dino mein. But it's the smoother melodies like Yeh tumhari meri baatein or Tum ho toh from the album that still hold good. Not everyone warmed up to the gravelly texture of Farhan Akhtar's voice or realised how serious he was about pursuing it as a vocation. Clearly though, he has fans who show up to hear him live every time he brings Magik to their city. 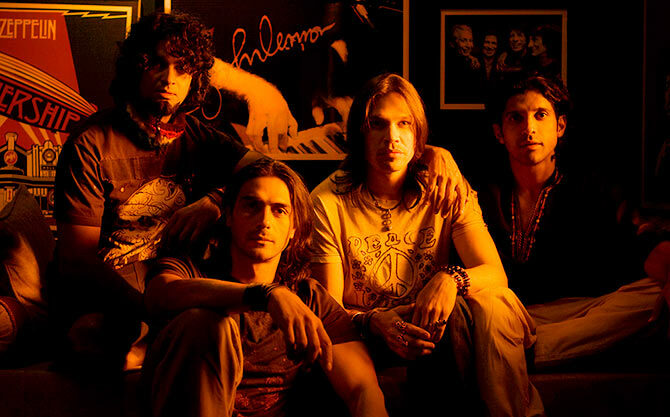 IMAGE: Purab Kohli, Arjun Rampal, Luke Kenny and Farhan Akhtar in Rock On!! Rock On!! is also Farhan's first film as an actor. Interestingly, a lot of people likened the film's BFF aspirations to his directorial debut, Dil Chahta Hai. He has acted in 10 movies since, according to IMDB, with Raees in the pipeline. Television actress Prachi Desai, playing his shy significant other, also made her switch to the big screen with this film. Rock On!! is Arjun Rampal's biggest triumph. His innate broodiness and inert charisma contributes to his character's bottled-up angst. Too bad, few filmmakers know how to turn an individual's weakness into his biggest strength. His on-screen wife, Shahana Goswami's bickering aggression is in complete contrast. But the beauty of her performance lies in how she emerges human even in her hostility. Veejay, musician and occasional actor, Luke Kenny looks the part of Rob but is too lukewarm to evoke sympathy, even if that's his only other requirement in the script. True to his part of Killer Drummer (KD), Purab Kohli constantly lends rhythm to the proceedings. 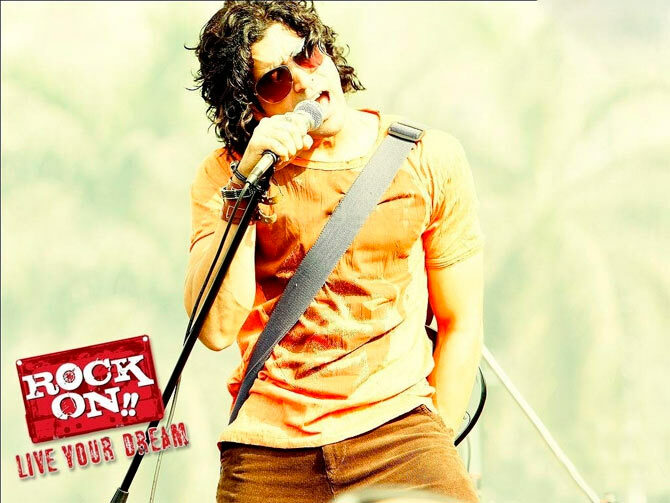 IMAGE: Farhan Akhtar in Rock On!! Sumit Bhattacharya, Rediff.com: What sets director Abhishek Kapoor's sophomore film apart is the attention to detail, some great ensemble acting and pure heart. It's a movie that will make you laugh and cry, and realise why man has discovered water on Mars but not been able to discover a 13th note. Rajeev Masand: The heart of any film lies in its characters and your ability to empathise with them. The protagonists in Rock On!! are full of flaws and many aren't even particularly well written. Yet they come off as endearing and the credit for that must go to the actors inhabiting those roles. Baradwaj Rangan: Rock On!! may not be interested in how music is created, but at least it's not shy about showing us how music is communally experienced. 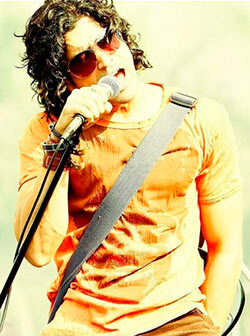 IMAGE: Arjun Rampal, Luke Kenny, Farhan Akhtar in Rock On!! Besides fetching a National Award for Best Film, it also bagged one for Arjun Rampal in the Supporting Actor category. IMAGE: Farhan Akhtar and Prachi Desai in Rock On!! Talaash director Reema Kagti and Farhan's wife Adhuna -- from whom he is now separated -- feature in the final concert scene as part of the excited crowd. Music director Anu Malik and singer/actress Monica Dogra appear in a cameo. Dogra made her big screen debut two years later in Kiran Rao's Dhobi Ghat. Farhan's Rock On!! released on the same day as Priyanka Chopra's long forgotten Chamku. The duo would later star together in sister Zoya's dysfunctional family drama, Dil Dhadakne Do. The Magik quartet Farhan, Arjun, Luke and Purab appeared on the cover of Rolling Stone magazine, with composer trio Shankar-Ehsaan-Loy, for a story titled The Making of India's First Rock Film. Kasamh Se's Bani will now Rock On! Looking at Kamal Haasan's SUPERSTAR life!